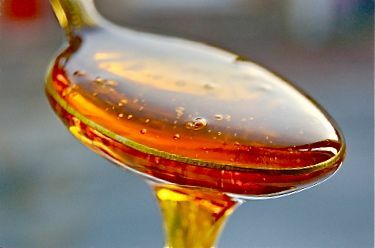 The Maple Syrup ingredient of The Master Cleanse is the most substituted ingredient largely because maple syrup can be hard to come by, but more so because people have a misconception about sugar, types of sugar, the quality of sugar in maple syrup, the differences in sugars in real maple syrup vs. fake maple syrup (aka table syrup –high fructose corn syrup that tastes like maple via chemical artificial flavour), what sugar does in your body, what sugar does during the master cleanse. I have dug into the characteristics of maple syrup (here), so we won't re-invent that wheel. This post will look more closely at the choices of replacements should you be forced to, or are dead set against using maple syrup or for another ingredient all together. Why Maple Syrup Not Honey or Agave? 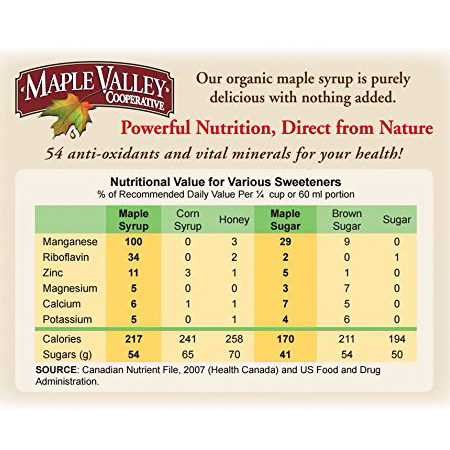 The key to the maple syrup in the master cleanse is really the calories and the nutrients, but I see 3 other factors to why the sugar might be “super” enough to consider using on The Master Cleanse. Calories: The Master Cleanse isn't a starvation diet. Yes it's a modified juice fast, and usually calorie restriction principled (if drinking less than 16 glasses per day). 93% of your calories come from the syrup with the rest from the Lemon Juice. Therefore choosing a substitute that has less or even no calories may lead you to believe you'll lose more weight, but in fact you'll likely not lose more weight, have a more difficult time, and not get the results you're looking for. Nutrient Contents: This is the first a-ha people have when thinking about maple syrup and the master cleanse. They realize hey, I can get nutritional value from a sugar and that's a major reason why it's in the lemonade. Maybe this crazy juice fast has something to it. Yes, Maple Syrup has nutritional value. It's not an apple. But it's not devoid of value like white table sugar. Sugar Composition: Sucrose, Glucose and Fructose oh my. Sucrose is a Molecule that is half fructose and glucose and is rapidly broken down into these two separate molecules. Fructose spikes insulin and cholesterol that damages heart and circulatory system. The higher the Fructose level the lower the glycemic index. Fructose has to be converted to Glucose which impacts a process called “Lypo Genesis” or fat cell creation (if low glycemic index). So glycemic index isn't the end of the story as it may be true that no sugar is going in your blood stream initially, but a whole host of issues follow. Glycemic Index: A useful calculation of relative impact of insulin producing foods against each other. For example, what is the glycemic index of a potato vs. raw refined sugar (pure glucose) or refined white bread. The glycemic index (GI) is a measure of how quickly foods raise blood sugar levels. Glucose is given a GI of 100 and if a food has a GI of 50, then it raises blood sugar half as much as pure glucose. Glycemic Load: Taking The glycemic index compares the potential of foods containing the same amount of carbohydrate to raise blood glucose. However, the amount of carbohydrate consumed also affects blood glucose levels and insulin responses.. For example Maple Syrup by the spoonful, on pancakes, or as part of The Master Cleanse. We need research here to further understand the impact of The Master Cleanse on Glycemic Index and Load values but all signs point to at least a minimally negative effect and possibly a positive effect. PH Index: Of the big 3 disease markers (PH, Oxidation, Inflammation), perhaps the most common point to measure is PH as we can test our saliva easily with readily available strips. My Experience showed an alkalizing effect of The Master Cleanse. All foods have an impact on our Acid/Alkaline balance or PH. Whole Food Ratio: A good measure of a foods quality is how many steps removed from being a live whole food is it? Maple syrup is 1 step removed. Raw organic honey is 0. White sugar is at least 3. If you are looking for a replacement, not only do you need to ensure you are getting similar caloric amounts from the replacement, but also similar nutritional qualities. And given these metrics we're analyzing and sheer common sense, we know not all sugars are equal. 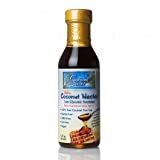 Some have been refined so much that they no longer contain any nutrients whatsoever (such as white table sugar), which should be avoided as replacements for Maple Syrup on The Master Cleanse at all costs. Cane juice and molasses, however, have been widely considered as safe replacements. The great value attributed to honey is delusive… honey is only a little less empty and more dangerous than sugar.” Just as with alcohol, honey, being predigested, enters the blood directly, raising the sugar content very rapidly above normal. To correct this, the pancreas must produce insulin immediately or possible death can occur. More insulin than necessary is likely to be produced, and the blood sugar level then drops below normal. This can produce blackout spells and even death if it goes to low. When blood sugar is below normal, a person will feel depressed. The regular use of honey can create constant imbalances, which in turn will adversely affect the normal function of the liver, pancreas and spleen. Hypoglycemia and hyperglycemia are the results of the use of unbalanced sugars. The balanced sugar in maple syrup and sugar cane juice causes no dangerous side effects. Artificial, synthetic, and refined sugars have no place in a natural diet. Agave (which is 90% Fructose – 10% Glucose) is made from the agave plant, which is high in a compound called inulin (or fructosan). This sugar is extracted as a dark juice, and then filtered to remove minerals (exactly what we don't want). It's then heated to convert the inulin into fructose (again what we don't want). Finally, it is concentrated to make syrup. Usually two grades of agave juice are available—light and dark. That's at least 3 steps from whole food. Although Fructose has a low glycemic index this is actually doubly problematic because people are being training to think this claim is always good. It isn't. The lowered insulin secretion can trick the body into not recognizing the caloric intake. This can actually make you fatter because your body then tells you it needs more food. It causes hunger. A “Super Sugar” is produced by a single-stream method of manufacturing. Any process that ads or removes mineral content is extremely important because it is “whole” sugars’ natural mineral content that makes them safe for consumption, exactly opposite of any refined, demineralized sugars. Finally, as a demineralized food, eating too much of it can put the body into a “mineral debt” causing organs to be depleted. 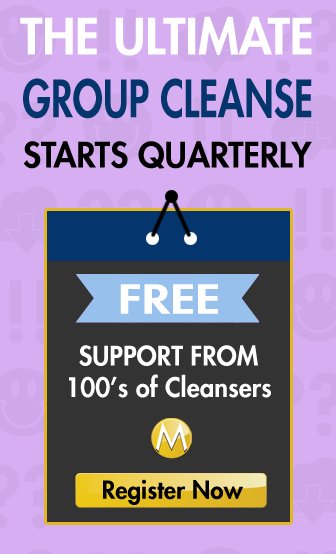 If you do use Agave for The Master Cleanse you'd be very wise to limit your use to less than 10 days. In order of worst to worster (most worst). Maple Flavoured Table Syrup: Yes, “Aunt Jemima” I am talking about you. This is flavoured corn syrup and is NOT the same at all lacking all nutrients and worse. Artificial Sweeteners (Spenda, Equal, Aspartame) – Contains no calories, you will be starving yourself and adding artificial toxins, counter productive to a detox. The molasses supplies the necessary elements for the pancreas to produce insulin. As the necessary elements are supplied to the pancreas, the amount of insulin taken may also be gradually reduced— as an example. On the first day use a scant tablespoon of molasses to each glass of lemonade and reduce insulin by about 10 units. Daily from then on reduce the insulin as you increase the molasses to 2 full tablespoons per glass. When this proportion has been reached the insulin can normally be eliminated; then replace the molasses with 2 tablespoons of maple syrup in each glass. Make regular checks of the sugar level in the urine and blood to satisfy you and eliminate any possible fear. One should also consider methods to stimulate the liver, pancreas, and spleen to insure proper use of the minerals supplied in the molasses, but many people have found they no longer have need for insulin following Stanley's strict instructions. Tree Syrup: Consists of four different South East Asian palm syrups and prime quality Canadian grade maple syrup. Seems good to me. I don’t like sugary drinks, its hard to gulp down after awhile…can I just eat a couple spoonfuls of syrup throughout the day and drink lemon water with cayenne seperate? Can I just cut out syrup all together? I can’t find any but I’d be fine with excluding it if it will still work. I do this every three months. Trust me it does work. I use Maple Syrup or Molasses. I do it for for 21 days for the best results. I DESPISE the taste of Maple syrup…just the thought of it turns my stomach. So if I substitute with cane suger, what is the recommended dosage? Can fresh coconut water be used instead of maple syrup? In Kenya it’s not easy to find pure maple syrup…most of it is processed. I opted for 1 jar of pure agave syrup to take me through a few days as i search for the maple syrup in other different stores. Is that wrong? Agave is not the best choice. Find one of the approved alternatives or wait until you do. you can get fresh sugar cane juice in diamond plaza parkland the food court section. Also you are guaranteed to find maple syrup in Healthy U stores or Nakumatts in upscale areas. Good luck. We absolutely do not get Maple syrup here in India. Could you please temme how much quantity of Sugar cane juice should i be using instead of Maple syrup. The book says using 10oz Sugar Cane juice… does that mean… I drink 10oz six times a day or more? can your please give a lil more insight about the same? or should we use sugar cane juice just as much as maple syrup in the lemonade+water+cayenne pepper juice?